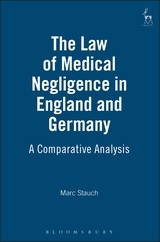 This new work adds to the theoretical understanding and discussion of possible solutions to various conceptual and practical problems that arise within the field of medical negligence - an area whose legal treatment is perceived, both in England and Germany, as containing a number of special difficulties and shortcomings. In addition it seeks to make a contribution to the developing field of comparative law, by employing a detailed and closely focused analytical approach in a tightly defined subject area. These twin aims serve to reveal the similarities and differences between two legal cultures in a particularly clear and striking way. 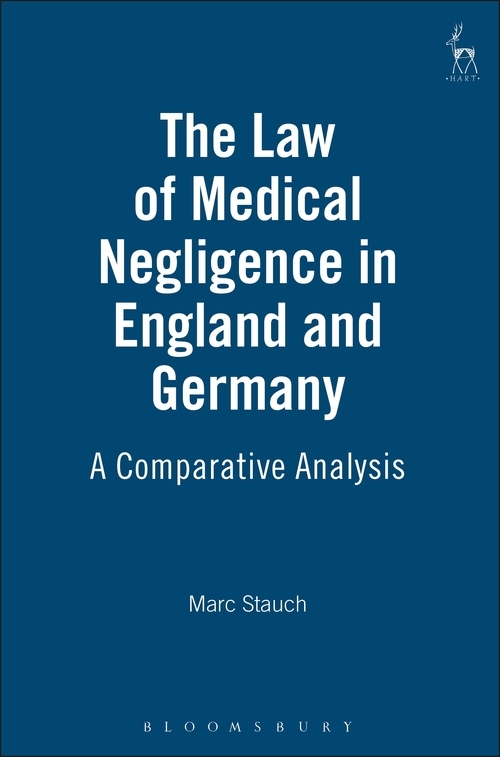 The book offers an analysis which is neutral as between the English and German approaches. The issues are dealt with thematically so far as possible, so that the respective treatments in each country of a given matter, eg the standard of care owed by medical practitioners, are discussed side-by-side. The book thus avoids the 'country-report' style, whereby the systems are presented largely separately from each other. What is of particular interest is how, notwithstanding their common starting point in terms of the application of the fault-principle under private law, the detailed rules in the two countries differ markedly. This is true both in the divergent way that claims are structured and argued, and also quite often as regards their substantive outcome. It will be of interest to comparative lawyers, tort and medical lawyers, and practising lawyers working in these areas. Marc Stauch, MA (Oxon), Solicitor, is a Lecturer/Researcher at the Centre for British Studies, Humboldt-Universitat zu Berlin.